Even as tens of thousands of protesters take to the streets of Tunis to demand the ouster of the Islamist-led Tunisian government, the nation’s poorly-organized military and security forces have launched an offensive against Islamist militants who have established bases in the lightly-populated Jabal Chaambi region of western Tunisia, close to the Algerian border. The military offensive is aided by elements of the Tunisian National Guard and anti-terrorist units of the Interior Ministry. Political violence is rapidly rising in Tunisia, with homemade bombs targeting National Guard and Marine Guard facilities, and a first-ever car-bombing in Tunis leading to high levels of public anxiety reflected in rumors of new attacks and bombs in public places. Tensions peaked in Tunis after the brutal but unclaimed murder of opposition leader Muhammad Bahmi, who was shot 11 times outside his house in front of his wife and youngest daughter. Public anger led to violent street protests, which led chants of “Down with the Islamists” and the torching of an Ennahda office in Sidi Bouzid (al-Sharq al-Awsat, July 26). The assassination came six months after the murder of opposition leader Chokri Belaid, who was believed to have been the target of Islamist extremists. In a situation that is beginning to resemble Egypt’s political crisis, regular demonstrations against the Islamist-dominated government in Tunis have been countered by pro-government demonstrations. Despite the apparent threat, the widespread belief in some quarters of Tunisian society that the “security crisis” is nothing more than a government-engineered fabrication has compelled Interior Minister Lotfi Ben Jeddou to recently address the allegations, describing them as “nonsense” and the work of people who “have no sense of patriotism… The terrorism in the Jabal Chaambi region is real and we are aware of the presence of armed groups in this location. We know every single one of them… They are Tunisian and Algerian nationals, members of the Uqba Ben Nafi Cell, which is affiliated with the so-called al-Qaeda in the Islamic Maghreb” (al-Sahafah [Tunis], August 1). The decision to begin military operations was taken after the brutal murder of eight Tunisian soldiers who were ambushed in the Jabal Chaambi region on July 29. The eight were part of a Special Forces unit working out of Bizerte. Those who were not killed in the initial attack on their patrol vehicle had their throats slit and five suffered further mutilations to their corpses as the militants seized their weapons, ammunition, uniforms and other supplies (Tunis Afrique Presse, July 31; al-Sharq al-Awsat, July 31). There is speculation amongst security sources that the attackers were led by an Algerian militant named Kamal Ben Arbiya (a.k.a. Ilyas Abu Felda), who has since been arrested by Algerian authorities in the al-Wadi area near Tunisia’s southern border (al-Sharq al-Awsat, July 31; al-Shuruq [Tunis], July 31; L’Expression [Algiers], August 1). Rumors in Tunis that Algeria had a hand in the deaths of the eight soldiers prompted a condemnation of such accounts by Algeria’s Ministry of Foreign Affairs, followed by a clarification from Tunisia’s Ennahdha Party that Algeria was one of Tunisia’s most important strategic partners in the region (Tunis Times, August 1; al-Shahid [Tunis], August 3). Tunisia’s Ministry of Defense said that Algerian intelligence was aiding its operations near Jabal Chaambi and there are reports that a joint 8,000 man Algerian and Tunisian force has been deployed in the southern border region despite Algerian statements saying Algerian forces would not operate on Tunisian territory (Tunisia Live/Mosaïque Radio, August 2; Xinhua, August 2). 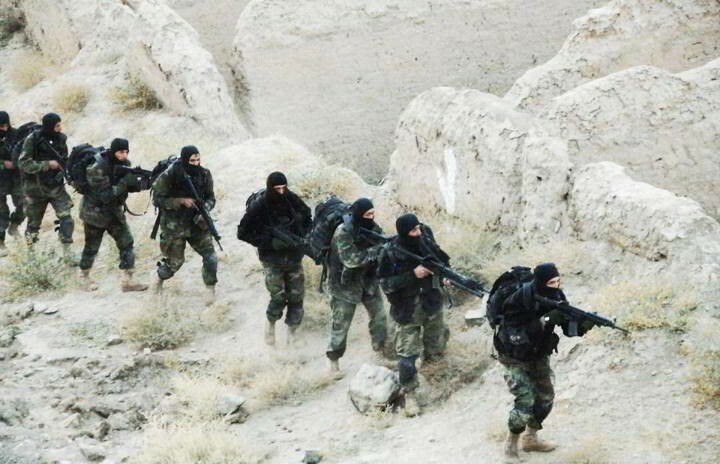 Algerian Special Forces reported killing three Tunisian militants in an August 3 ambush inside Algeria at Tebessa, some 580 kilometers southeast of Algiers (Xinhua, August 4). What military spokesmen described as “a huge operation, with ground and air units” was launched in the early hours of August 2. The initial focus of the operation was a group of 10 to 15 militants surrounded by Tunisian regulars and Special Forces in the Mount Chaambi district. Helicopters also launched airstrikes against targets roughly ten miles from the town of Kasserine (Mosaïque FM [Tunis], August 2; AFP, August 2). In tandem with the field operations, Tunisia’s Anti-Terrorism Unit arrested 12 “religious extremists” in Kasserine’s Ettawba mosque, alleged to be under the control of Salafist groups (Mosaïque Radio [Tunis], August 2). The land operation was preceded by three days of shelling and airstrikes, but ran into trouble when Tunisian armor began to encounter landmines that disabled several tanks and caused a number of casualties (al-Shuruq [Tunis], August 5; al-Safahah [Tunis], July 30). The political disarray in Tunisia has worked its way down into the always heavily politicized Tunisian security agencies, impeding effective counter-terrorism operations and intelligence-gathering. Former armed forces chief-of-staff General Rachid Ammar (retired as of June 25) said the Tunisian military no longer carries out intelligence gathering operations, resulting in the failure to identify the militants and their bases in the Jabal Chaambi area (TunisiaLive, August 2). Even the wide distribution of land-mines in the Jabal Chaambi region appears to have escaped the notice of the military. Members of the civilian internal security services complain of “infiltration” by the Ennahda Party as being responsible for the increasing skepticism with which their activities are viewed in Tunisia and complain that units created to monitor jihadist activities around Jabal Chaambi and attempts to recruit Tunisian youth for jihad in Syria have been dissolved (al-Sahafah [Tunis], July 31). 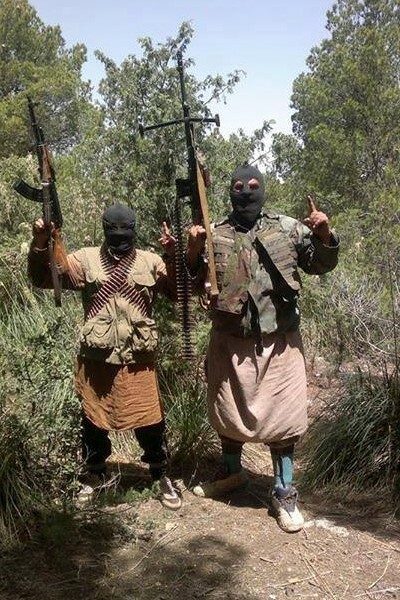 Meanwhile, an Algerian daily has reported that the Algerian-based al-Qaeda in the Islamic Maghreb (AQIM) has recruited over 200 Tunisians to fight American forces based in Iraq (al-Fadjr [Algiers], July 31). Terrorism is not a phenomenon that is restricted to Tunisia, but it is an international phenomenon which has hit the strongest and most secure countries. Painful blows have been dealt to all the big countries and no official has come after the incidents to call for dissolving the parliament or the government. The moment of disaster is supposed to be a moment of unity and solidarity and not vice versa, but there is a political blackmailing of the government exploiting the developments… to achieve political objectives which they failed to achieve through the ballot boxes… Those who carry out these actions think that the Egyptian scenario can be implemented in Tunisia, but they do not know that the scenes of blood have made Tunisians hate this scenario and detest it (al-Sharq al-Awsat, August 1). In an approach patterned on events in pre-coup Egypt, Tunisia now has its own Tamarud (Rebellion) campaign dedicated to organizing demonstrations and collecting enough signatures to support the dissolution of the government and the National Constituent Assembly (al-Shuruq [Tunis], August 1). The failure of the current government to rally Tunisians behind the offensive in Jabal Chaambi and its inability to rein in Ansar al-Shari’a extremists despite an official ban on the organization are contributing to what appears to be the imminent collapse of the Islamist-led government.